Two new volumes, Collected Poems of Nirodbaran with Sri Aurobindo’s Comments and Corrections, have come out on the occasion of Nirodbaran’s birth anniversary, bearing the gift of new material from the hand of Sri Aurobindo. 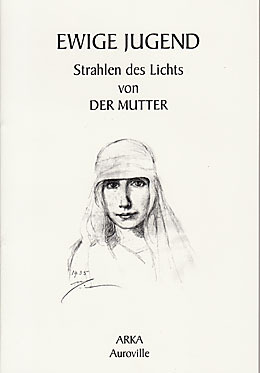 Of the more than four hundred poems written between 1933 and 1944 approximately half are published here for the first time. Nirod joined the Ashram in the early 1930s and soon wrote to Sri Aurobindo of his longing to express himself in literature. As other sadhaks were then engaged in writing poetry under Sri Aurobindo’s tutelage, he began to send his own poems to Sri Aurobindo for his comments. Encouraged by Sri Aurobindo’s assessment in 1934 that “evidently you have the writing capacity”, he persisted in his efforts to aspire for an opening to the right plane of inspiration. 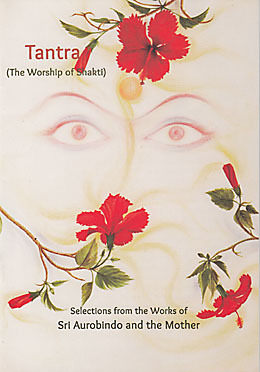 In these volumes, Nirod’s original poems appear in chronological order with Sri Aurobindo’s comments and corrections followed by the final, revised version. Sri Aurobindo is strict on issues of metre and rhyme and explicit on word choice: In one poem he admonishes Nirod that “‘lurid’ has too physical a sense to be applied to ‘thrusts’” and “’luscious’ is too palatal or sensual to be an adjective of ‘grace’.” Sometimes the poem is of what he humourously refers to as mixed parentage, sometimes he ends up recasting the entire poem, and sometimes he simply notes, “Very fine indeed, very.” The path from literary tyro to accomplished poet is scattered with Nirod’s self-critical tendency to descry his own work but also shines with moments of creative joy when he writes a beautiful poem. Sri Aurobindo is patient, meticulous, witty in both encouragement and criticism, and the relation between guru and disciple as they collaborate on poetry makes these two volumes a richly layered reading experience. Two other new books in English come from Auroville. Glimpses of Wonder: Children in Auroville Creating Worlds on Sand describes how the World Game, also known as Sandplay, is used as an educational tool in Auroville. The World Game, developed by child psychiatrist Margaret Lowenfeld and later by Jungian therapist Dora Kalf, was brought to Auroville in the 1960s and is still being used today to create a concentrated atmosphere in which a child can tell his story or express her dreams. Building a private world in a box of sand with unusual and appealing objects becomes an expression of the child’s individuality. 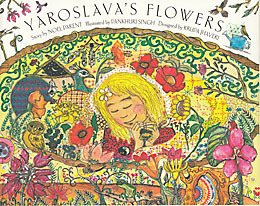 The other publication from Auroville, Yaroslava’s Flowers, is a lavishly illustrated picture book for children that tells the story of a little girl who loved flowers. One day the Great Flower Spirit appeared to her and asked her to plant magic seeds in places wherever help was needed. Each flower seed had a power to grant the spiritual quality that the Mother has identified—Spiritual Power of Healing, Receptivity, Collaboration, and New Birth, for example. When these flowers bloomed, it helped to awaken new life in the people and places around her. The more than four hundred poems included in two volumes were written between 1936 and 1944 and demonstrate the sure development of Nirodbaran's poetic artistry under the meticulous guidance of Sri Aurobindo. While some of the poems have appeared previously, more than two hundred are published here for the first time. 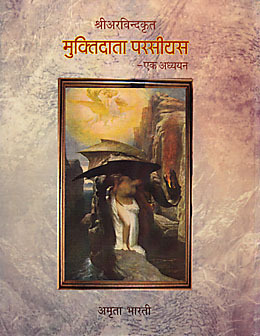 By way of introduction to Nirodbaran's metamorphosis from medical doctor into poet there are extracts from his correspondence with Sri Aurobindo on the subject.The numbered poems are then presented in chronologcal order, with the original poem accompanied by Sri Aurobindo's corrections and comments followed by the final, revised version. These volumes trace the growth of a poet, reveal how writing poetry became a form of sadhana, and provide a glimpse of Sri Aurobindo's emphatic mastery of poetic feeling and technique. 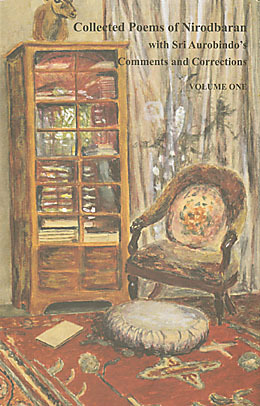 Volume One contains the first hundred and fifty-one poems, written between January 1936 and March 1938. The more than four hundred poems included in two volumes were written between 1936 and 1944 and demonstrate the sure development of Nirodbaran's poetic artistry under the meticulous guidance of Sri Aurobindo. While some of the poems have appeared previously, more than two hundred are published here for the first time. 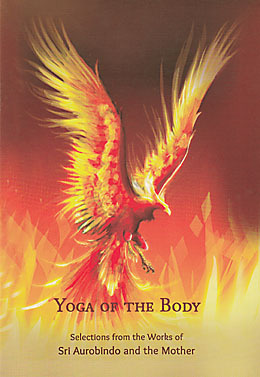 The numbered poems are presented in chronological order, with the original poem accompanied by Sri Aurobindo's corrections and comments followed by the final, revised version. These volumes trace the growth of a poet, reveal how writing poetry became a form of sadhana, and provide a glimpse of Sri Aurobindo's emphatic mastery of poetic feeling and technique. 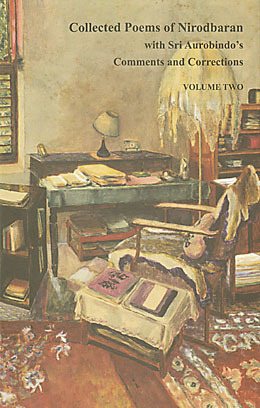 Volume Two contains poem numbers 152 to 424, written between March 1938 and January 1944. The World Game, also known as Sandplay, is an educational tool used in Auroville since the late 1960s whereby children can creatively explore their thoughts, feelings, and imagination in an effort "to know oneself", a core principle of learning. 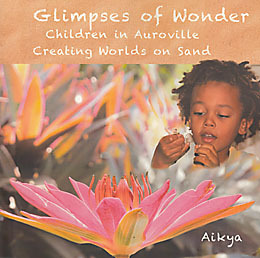 In this book the author describes her approach to using the World Game in Auroville. Children are given a box of sand and free access to unusual and appealing objects. Music, flowering gardens, paintings, and the quietly observant presence of the facilitator contribute to creating a concentrated atmosphere in which the child can tell his story or express her dreams. The book includes quotations from Sri Aurobindo and the Mother, pictures of the children and their creations, their individual stories, and guiding steps for implementing the World Game. 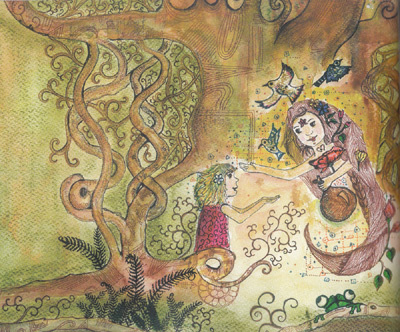 This children’s picture book, with many full-page colour illustrations, tells the story of a little girl who is given a bag of magic seeds by the Flower Spirit. Each flower seed has a power to grant the spiritual quality that the Mother has identified—Protection, Generosity, Divine Grace, and Eternal Smile, for example. She plants the seeds wherever she finds people and places that need to be awakened to new life. Along the way, she discovers more about herself and how she can help to make the future brighter through her love of flowers. These selections from the Mother's works reveal the truths behind the facades of old age and death, that they are the habits of Nature, and that the incapacity to grow and progress is the real deterioration into old age. The book has been brought out by ARKA, a community for senior Aurovilians, which is dedicated to manifesting the Mother's vision of Auroville as a place of "unending education, of constant progress, and a youth that never ages". 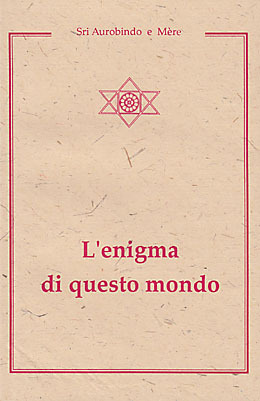 "L'Enigma di questo mondo" è il titolo dato a una lettera di Sri Aurobindo a Maurice Magre, scrittore e poeta francese, che nel 1936 era venuto in visita all'Ashram di Pondichéry alla ricerca di una risposta ai quesiti sull'esistenza, la sofferenza e la morte. Nella prima parte di questo opuscolo è riportato un estratto della lettera di Magre, seguito dalla breve risposta della Madre che introduce la lettera di Sri Aurobindo. Questa parte si conclude con un'altra lettera di Sri Aurobindo a un discepolo a lui molto caro, Dilip Kumar Roy, che affronta la stessa tematica del destino umano, soprattutto riguardo alla sofferenza e alla morte. Nella seconda parte sono raccolti brani di Sri Aurobindo originariamente scritti in risposta a domande poste dai discepoli o altre persone interessate allo Yoga e alla vita spirituale. Lo scopo è quello di esporre la visione di Sri Aurobindo sui piani di coscienza e le forze che agiscono sul mondo e gli uomini.